The idea of e-sports betting as the future of Vegas has been around for quite some time, and has huge industry potential. Many online betting sites show that everyone who plays video games (adults and teens alike) have obvious interest in not only the profitability of gambling for game items and cash bets, but also the profitability from selling those items for cash. Being someone who has tried using these sites myself, I can see not only the addiction but also the opportunities to gain financially. While traditional casino betting has obvious opportunity for profitability, the market for gaming is increasing every day as well. Gaming has already become a career path for thousands of YouTube entertainers in the past 8 years, due to advertisement and continued promotion of games. So, in a world built on technology, the inevitable industry of e-sport betting has nowhere to go but up. 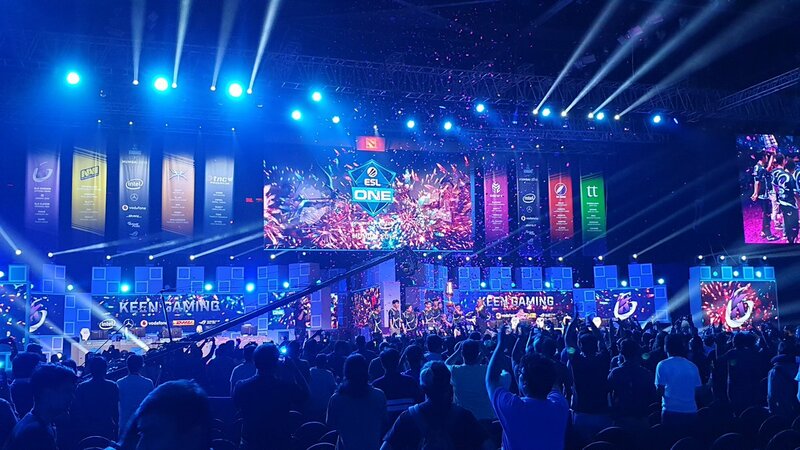 In just the last three years, the popularity of e-sports has increased tremendously. Imagine if even a small percentage, say 1% of e-sports viewers, were interested in placing only a $1 bet. Based on the viewership numbers below, it would mean that $890,000 would have been circulated in 2014 alone. The actual scale in which betting is growing is at a much higher rate than even this example. As a YouTube entertainer, I can attest to how social media has played a massive role in the popularity of e-sports, and the betting community as a whole. The easily consumable and instantly available content not only advertises the creator and the game they’re playing, but also generates revenue for the creator and their network. With millions of screaming fans who want to be enthralled and captivated 24/7 by their favorite e-sport or specific team player, YouTube and other platforms have given the opportunity to stay connected day-to-day, as well as the opportunity to make confident bets from the safety of your home. There are many ways to get involved in e-sports, whether it be for fun or for financial gain, or BOTH. With e-sports betting opportunities, not as much planning is needed compared to an expensive trip to Vegas where you expect to lose money!The convenience of having every e-sports platform at your fingertips means a consumer can safely stay home while still being in the thick of the community without having to actually go “hit the slots.” I’d like to think that I am someone that isn’t generally interested in betting or gambling, but e-sports for some reason doesn’t feel like betting, per say. Of course, I understand it is just the same as betting on a horserace. It doesn’t feel as though it has the same negative energy that follows the hustle of Las Vegas. The legal age to bet and gamble in the U.S. is a whopping 21 years old, and 18 in areas of Canada (as far as I know). I would assume the legal age would be the same for online e-sport betting, but from my experience, the regulation is little-to-none. The subject matter being video games also sparks the interest of younger audiences. The grey area of whether betting platform clients may or may not be of legal age only enables more users to get involved. Not limiting e-sport betting to only those involved in gaming or to younger audiences is where this industry has potential to overthrow the traditional Vegas betting industry. The amount of money to be made by those looking to bet is massive since the growth of the gaming community continues to expand year-by-year. With virtual reality just nudging its way into things, the e-sport community continues to get closer to the already massive betting industries today. I don’t see a limit to where e-sports can go.